The latest iPad Pros adopted new physical sizes and features, leaving accessory manufacturers to race to market with their own cases. Case-Mate happens to be one of the first with a pair of styles for both the 11-inch and 12.9-inch now available. Dubbed the Venture Folio and Edition Folio, the pair is aimed at being both handsome and fashionable respectively. We threw the Venture Folio on our 12.9-inch 2018 iPad Pro for a few days to see how we liked it. Outisde is a soft, pebbled leather that has a great feel to it. Since this is a folio, it wraps entirely around the iPad Pro, keeping itself closed via a magnetic flap. 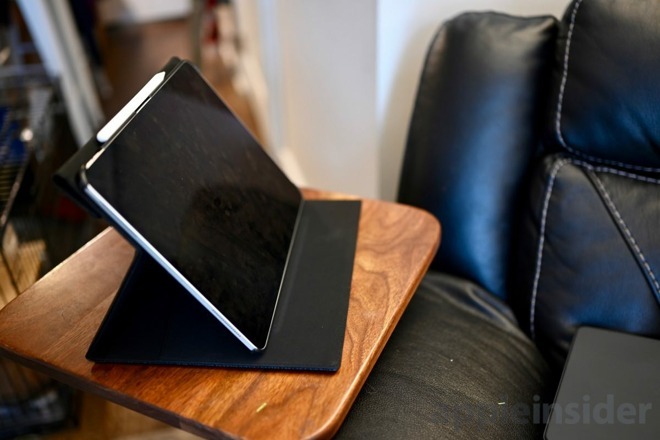 That aforementioned flap nearly gets in the way of using your iPad, but Case-Mate considered that it would be flopping about, and put an additional magnet around the back, to hold the flap out of the way -- which we feel is a fantastic little touch. The iPad Pro itself is held in place by a plastic frame within the soft exterior. It covers all sides of the iPad, including the corners. When opened up, the left side of the folio has a slanted opening which has provided useful storage for receipts, notes, and a few papers of the course of the last few days. If you are using your iPad handheld, fold the front of the folio to the back and go about your business. If you'd rather watch a movie on your iPad, tilt it back and lock it into viewing position for some hands-free movie time. When it is time to get some work done, the case moves even lower into typing position. Typing position is supported by a small magnetic flap on the underside which is neither especially intuitive nor particularly sturdy. It works for some light typing, but we found ourselves annoyed after hours of tapping away on the on-screen keyboard. We aren't big fans of the Edition Folio, as it's rose gold shine isn't our cup of tea, but it has a similar solid build quality and mirrored features. 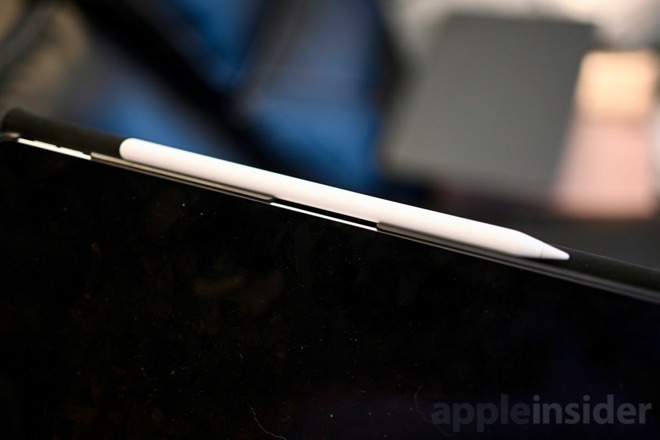 While both designs feature a cutout along the top horizontal edge for the Apple Pencil to magnetically snap into place, the shell is just large enough to prevent the pencil itself from charging. This is a dealbreaker for us as we rely on Apple non-stylus stylus. 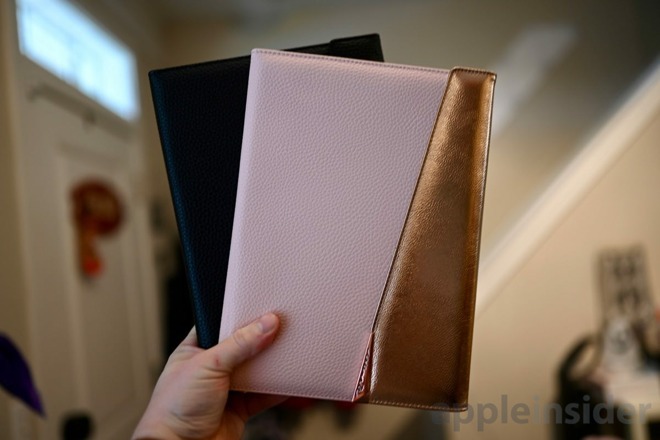 Neither of these cases aren't going to be the top of the line, and it isn't really fair to compare directly to Apple's own iPad Pro Smart Folio. But, they come in at affordable prices and look stylish enough to sway users who are in need of protection, as well as a bit of added functionality but aren't interested in paying Apple's prices. The Case-Mate Venture Folio can be found for the 11-inch or 12.9-inch iPad Pros, both for $45. The Edition Folio is available for the 11-inch. Amazon has the Venture Folio available for the last generation 10.5-inch iPad Pro. I love Apple devices, but I never buy Apple cases for said devices. For my new 11” iPad Pro, I bought the ESR folio for $23. It is exactly the same design & build quality of the Apple version for a quarter of the price. For when I am traveling, I also bought a FINTIE case that not only protects the edges, it allows pencil charging and even has a pencil holder on the back for when I am not charging or using my pencil all for only $9.99. Both cases are great, and together nearly a third less expensive than if I just got the Apple folio case alone.